Goldman Sachs removed SAFRAN (Safran is the third biggest player in the European industry of the aerospace/defence (behind EADS and BAE) off its list of high conviction stocks. 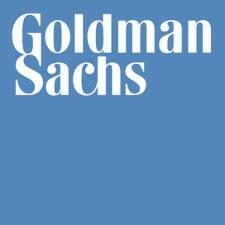 However, Goldman Sachs kept Safran’s price target at 33 euros. GS thinks that Safran is one of the most attractive investments among the stock market but also its performance in the short term might be penalized because of speculations about a possible acquisition. It refers to a possible acquisition of Italian engine maker Avio by Safran. EADS (lost -7,2% to EUR 21.05) is under pressure at the Paris Stock Exchange as investors are worried about the impact of the financial crisis on aircraft financing. French banks play an important role in this area, accorcing to an article published by French newspaper “Les Echos”. However, facing problems of refinancing in dollars, which is the currency used in the aircraft purchase transactions, Société Générale and BNP Paribas have decided to close the valve of the credit to the purchasers of aircrafts, said the newspaper. “The French banks represent 31% of the deals of planes arranged in the world. If two banks out of four have difficulties, this can be problematic,” explained an expert in the sector to the newspaper. VEOLIA ENVIRONNEMENT (NYSE :VE): Exane BNP Paribas has reduced its target price 5% to 9.5 euros on Veolia Environnement, reiterating its opinion “underperformance” on Veolia. The broker, which reduced its forecast results for 2011-2013, is now 13% below the consensus of BPA 2012 and 16% below that of 2013. Exane BNP Paribas also reduced its target price on Suez Environment, 13% to 13 euros, and it reiterates its neutral opinion. The broker has published a study in which it addresses the main questions in Veolia and Suez Environment which the investors have: sensitivity to GDP, risk on volumes in the recycling and impact of the decline in the prices of raw materials. Irish economy grew in the second quarter as well, confirming the upturn in its economy after a serious financial and budgetary crisis hat forced Dublin to call for help. According to official statistics released Thursday, the gross domestic product (GDP) grew by 1.6% in the second quarter compared to the previous, after having returned to growth at the beginning of the year. The Central Statistics Office (CSO) at the same time revised its first quarter growth upwards to 1.9% against 1.3% in the previous estimate. While other European countries are reviewing their growth forecasts downward one after the other, Ireland is on the contrary better than expected. Thursday’s figures “confirm that Ireland is in much better shape than Greece and Portugal,” two other countries that also received massive international aid, said the analysts at the firm Capital Economics.